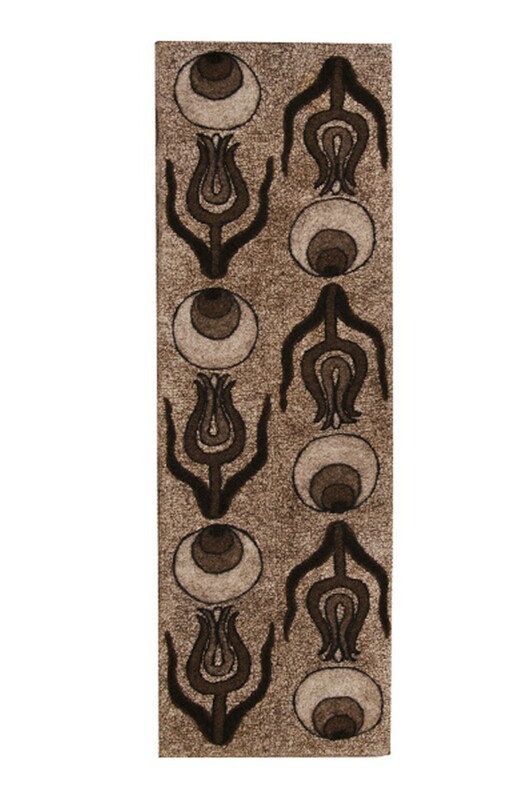 The brown felt carpet was designed and hand made by the artist. 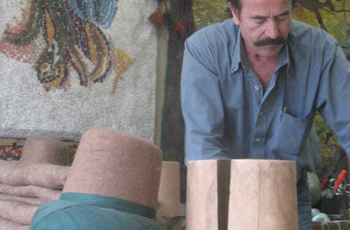 Traditional tulip and çintemani patterns were modernized and applied. 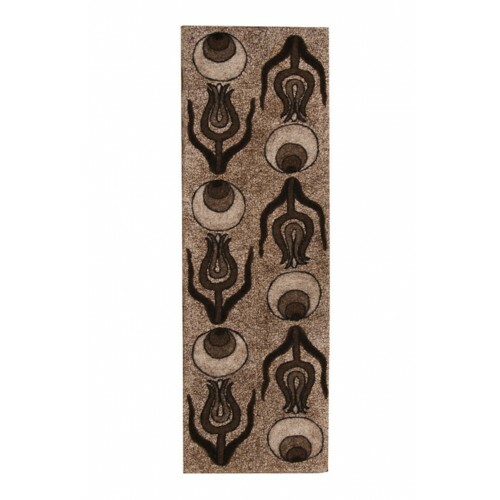 This hand crafted felt rug is made from natural dye Turkish fattail wool and cotton fabric. This is a contemporary felt technique we developed to create exciting surface design and detail. We gave this technique the name Osman Technique as we are able to get such lovely dteail in wool. First the design is drawn with hand rolled wool fiber and then the coloring detail is added. The design is built backwards from front to back. After the design layer we then add a layer of cotton fabric to give drape and surface texture. The last layer is straight wool. When the felt making process is done, the lamination of the wool and fabric layers leaves a surface looking like watercolor paper. Many of our design images have threads back to traditional designs.